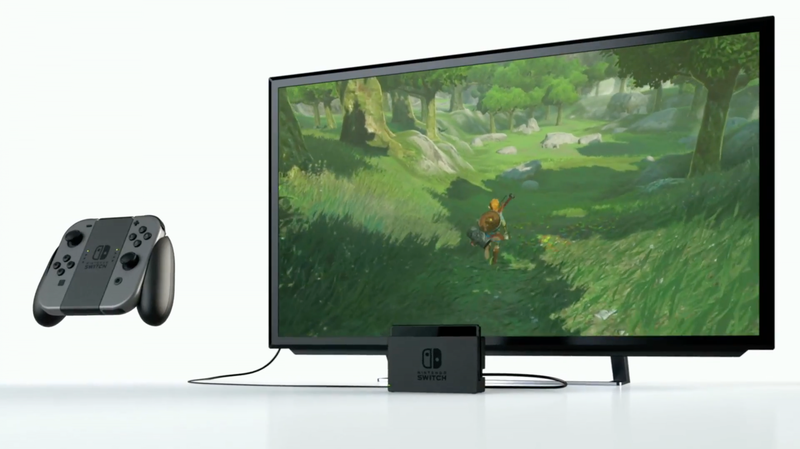 The Switch’s main selling point is that it is both a portable and a home console at the same time, pulling its game library from both markets and being able to take console-quality games on the go. For some time it’s been a mystery as to whether or not Nintendo would allow portable or TV-only games. The answer is now clear: Portable-only games are indeed a thing. So, are TV-only games just a matter of time? It’s no secret that the Switch, even when performing at its best, is only remotely close to an Xbox One. When you go portable, the system downclocks somewhat to preserve battery life, but judging by Breath of the Wild the graphical hit is likely to be minimal in many cases, but perhaps there are some third party titles that need that extra GPU and CPU power to run. Lets take the now officially announced Middle-Earth: Shadow of War as an example. It was not announced for the Nintendo Switch which honestly isn’t surprising because Warner Brothers definitely seems like a publisher that would play the waiting game to see if the Switch takes off before committing anything to it. However, the games complex Nemesis AI system strikes me as something that could potentially not be possible on the Switch due to needed processing power. I obviously don’t know the specifics of how the Nemesis system operates and all we have to go on are reportedly leaked Switch specs that are several months old, so I’m just spit-balling here, but I get the impression it just might not be possible, especially in portable mode. My point is, there are many games that could potentially run on the Switch with enough tweaking, and they could even support portable mode with some additional work, but there will be some games that just need the power that TV mode offers. If Nintendo is willing to allow portable-only games to exist on the Switch, then it’s entirely possible that they’ll allow TV-only games to exist as well. This could of course tie-in with the supplemental computing device that Nintendo patented and reportedly has a dev kit in the wild for. it’s a device that would only work with TV-mode regardless of what form it takes(Likely a new dock.) and the power it would provide would put the Switch in direct competition with Sony and Microsoft, allowing it to not only get all of the games that they do, but also at the same graphical quality, but only in TV mode. Some games would still get portable modes, but I can see many opting to just be TV experiences. The ball is in Nintendo’s court now, so lets see where they go with all of this.